HRANA News Agency – Fataneh Nabilzadeh, a Baha’i citizen residing in Mashhad, has been transferred to the city’s central prison to begin serving her one-year sentence. 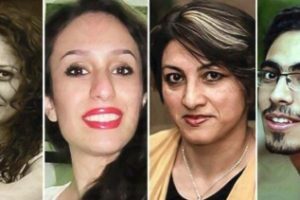 According to HRANA News Agency, the news agency of the Human Rights Activists in Iran, Fataneh Nabilzadeh, a Baha’i citizen, was convicted on charges of propaganda against the regime and sentenced one-year imprisonment by the Revolutionary Court of Mashhad in February of this year. 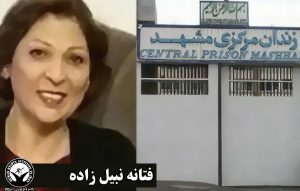 She has been transferred to Mashhad Central Prison to serve her sentence. 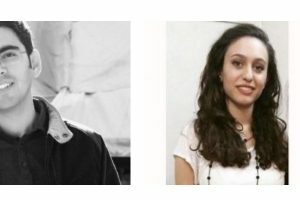 Ms. Nabilzadeh conviction stems from her arrest, along with Peyman Sarraf and Diane Taymoori, which occurred in August of 2013 at her place of residence in Mashhad. 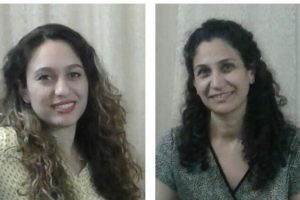 One month after the announcement of Ms. Nabilzadeh’s conviction, four other Baha’i citizens, Dori Amri, May Kholousi, Saghi Fadaei, and Shayan Tafazzoli, were also sentenced to one-year imprisonment in Branch 3 of the Revolutionary Court of Mashhad.